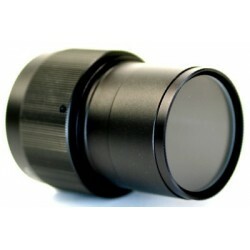 This adapter fits many popular Telescope and Microscope eyepieces up to 2" in Diameter. 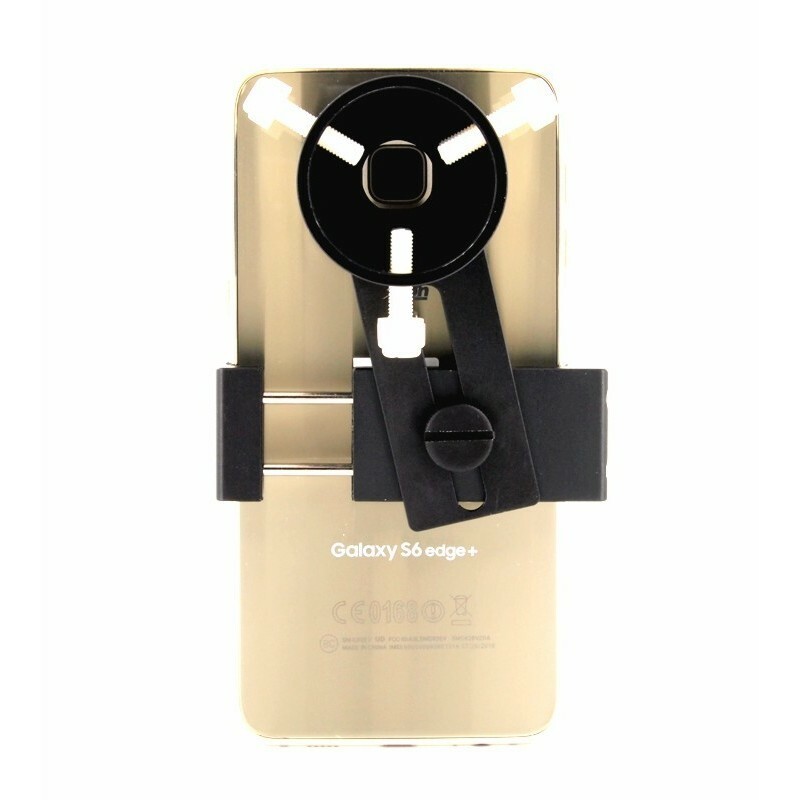 The padded, spring loaded adapter holds your phone securely in place without marring the finish. Just place the phone in the self-gripping padded jaws, center the adapter arm over the phone lens and connect to your eyepiece. Fits just about any Smart Phone! 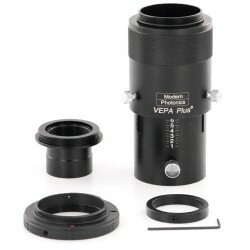 This adapter uses our popular Uni-T universal eyepiece adapters for quick easy installation onto popular eyepieces (Note: Size = Outside Diameter of Eyepiece, not barrel size). In addition the mount has a standard 1/4-20 tripod hole for mounting your phone on a tripod or piggyback mount (great for mounting onto a telescope piggyback mount to allow use of "Google Sky" software for locating objects). Max Phone width is 3.6" (91mm).